31 October 2018 – Amman/Jordan: Generations For Peace is pleased to announce the second phase of “United in Diversity: Strengthening Inter-Ethnic and Inter-religious Acceptance in Kaduna State, Nigeria” supported by the U.S. Embassy in Abuja. The program, which was first launched in November 2017 as “United in Diversity: Improving Inter-Ethnic Respect and Tolerance in Kaduna State, Nigeria,” aims to increase tolerance and acceptance among different ethnic and religious groups in the region. The new grant from the U.S. Embassy in Abuja contributes increased funding, enabling the program impacts to be to scaled-up. The project will enhance peace and security in Kaduna, through arts and advocacy initiatives for youth and adults that counter violent extremism and prevent conflict and strengthened ties and transfer knowledge transfer between U.S. and Nigerian project partners. 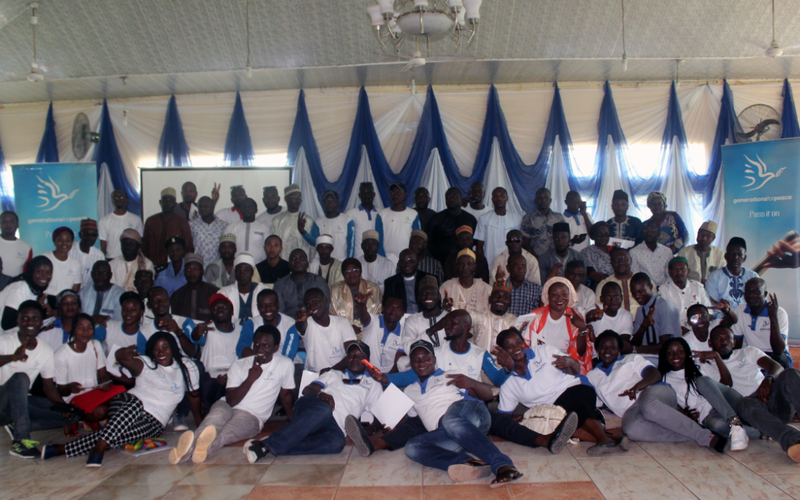 Generations For Peace (GFP) has been working in Nigeria with its local partner, Global Young Generation For Peace Development Initiative (GYDI), since 2009. Together, with a strong grassroots focus, they have implemented innovative programmes that lend to the sustainability of the behaviour-change impacts on project participants and beneficiary communities, fostering increased acceptance across ethnic and religious divides through long-term inter-group engagement. Mark Clark, CEO of GFP, lauded the impact of the program and the continued partnership with the U.S. Embassy in Nigeria: “Generations For Peace has long engaged with children, youth, and adults in Nigeria through its peacebuilding programs, supporting local volunteer-led community activities to build peace and transform violent conflict in Kaduna State since 2008. Thanks to the continued support of the U.S. Embassy in Abuja, GFP is thrilled to be able to implement an Arts and Advocacy For Peace Program to follow up on the formerly-implemented Dialogue For Peace Program, to help nurture understanding, acceptance, and ultimately unity across once violent inter-ethnic and religious boundaries. The second phase of the program is scheduled to run from October 2018 through September 2019, during which time it is expected to directly and indirectly impact 958 youth and adults in Kaduna metropolis from different ethnic groups and the region’s two major religions: Christianity and Islam.